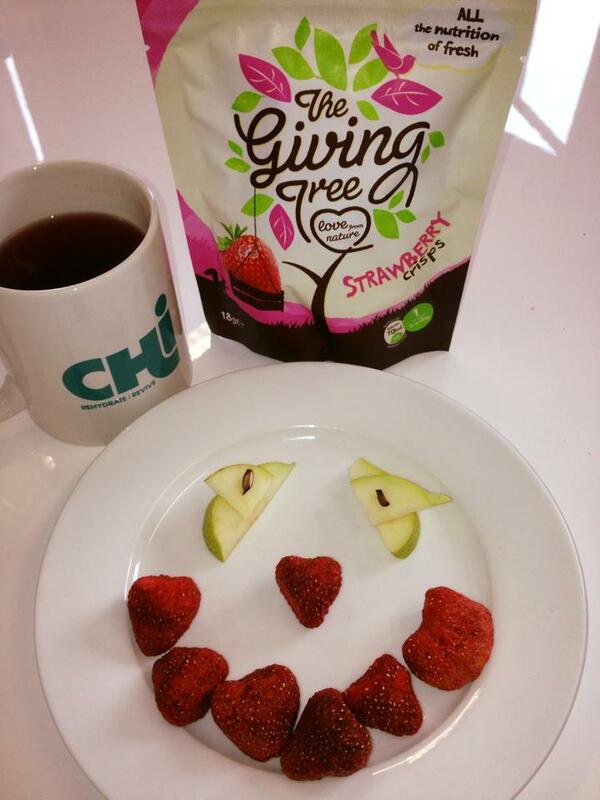 The kids are on half-term and you need to keep them entertained.. what better way than with some Giving Tree heart healthy and fun-filled half term tips! Childhood is a crucial time for teaching your children about eating healthily, exercising regularly and instilling in them the healthy lifestyle habits that will see them through to a long, happy and healthy adulthood. Teaching your children how to follow a heart healthy eating and exercise regime is particularly important nowadays, especially in light of new research showing that over two thirds of obese children show early signs of heart disease. So, if you find yourself at a loss for things to do whilst looking after your kids this holiday, take a look at these fun-filled ideas that will not only keep your children entertained, but also help them get into the habit of eating and living healthily. 1. Eat breakfast: It’s true what they say about breakfast being the most important meal of the day – even more so for growing kids! 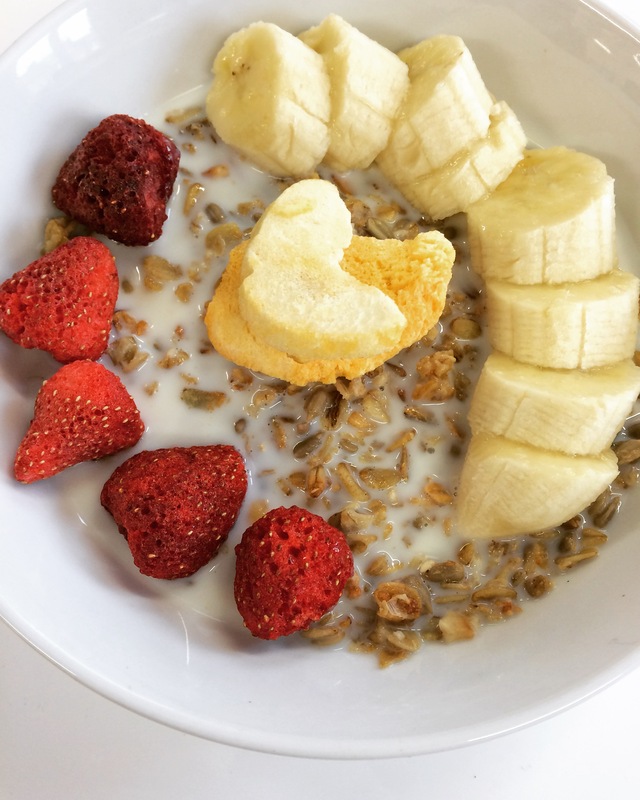 Make sure your children (even if they’re having a lazy at-home holiday) start the day with a nutritious, heart-healthy breakfast packed with protein and complex carbs (whole grain cereal, porridge oats, wholemeal soldiers and eggs and granola and milk all make great breakfasts!) 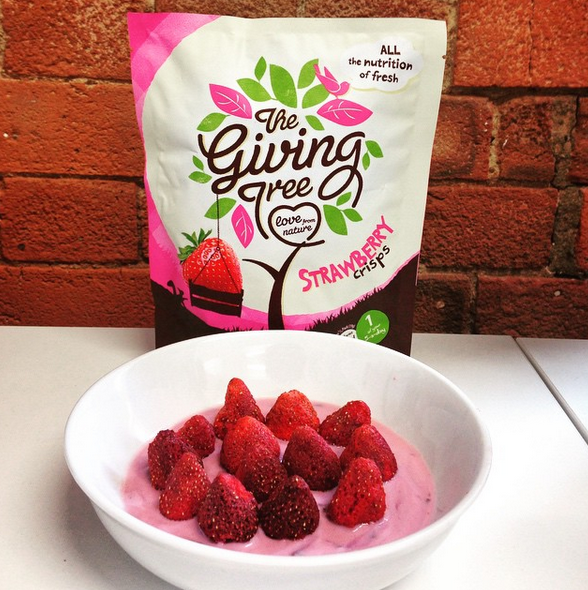 You can add our delicious Giving Tree fruit snacks onto nearly any breakfast recipe for added nutrients, crunch and flavour! Steering clear of sugar-laden cereals and pastries first thing will avoid your children having a sugar slump (and craving more sugary foods) later in the day. 2. Indoor Olympics: Create your own DIY indoor Olympics during those inevitable rainy days stuck indoors during the holidays. Why not tie a piece of string across the room and let your kids bat a balloon over for a house-friendly alternative to volleyball? Use your imagination! 3. Let your kids play chef: Whether it’s chopping the carrots or peeling the potatoes, encouraging your kids to get involved in helping cook the family meals allows them to get hands on and familiar with the various healthy foods that make up each meal. Plus, they’ll more than likely be tempted to scoff the odd tasty carrot slice along the way! 4. Allow the odd sweet treat: When teaching your children to make heart-healthy food choices, this doesn’t mean never allowing them the odd chocolate bar as a little treat every now and then. In fact, letting them enjoy the odd treat should help make them aware of the importance of a varied diet. 6. Go supermarket shopping: Chances are you don’t tend to take your children to the shops during school time when you just want to quickly whizz round the aisles and pick up dinner. Taking your child shopping, however, is a great way to introduce to and to explore new foods for themselves. Make sure you spend lots of time in the fresh produce section to see which of the brightly-coloured fruit and vegetables your child’s attention is drawn towards. Get them to choose a piece of fruit or vegetable to try at home – who knows, they may even quite like the taste of the mango that they picked up! So, which of these fun, heart-healthy half term activities will you be trying out with your children first? And remember, you don’t have to wait until the holidays to do these with your children – these are perfect for any weekend spent with your kids!